You may have been wondering about the Brother TN330 vs TN360 toner cartridges mentioned in the manual after realizing the starter cartridge that came with your new Brother printer only yields about 1,000 pages. Making the right choice can save you money once you understand the differences outlined below. To be sure, those starter cartridges have a maddeningly reduced output compared to the standard cartridges. Brother is not the only manufacturer to do this since they all want to get you into the flow of cartridge replacement quickly and keep the initial cost of the printer down without the disappointment that comes when the box doesn’t include everything to get started. The Brother TN330 and TN360 Cartridges look about the same, the only real difference being the amount of toner they contain. 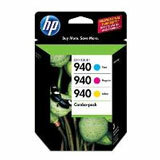 Even so, Brother is among the few that offer varying models of cartridges like the TN330 or TN360 for their printers – mainly to play to two crowds: The first group are those who want to find the lowest cost replacement to get them past the current lack of toner; The other group are those who are willing to pay more for a cartridge that needs to be replaced less often. Of course, all of this presumes that the new Brother printer user is convinced they need only the Brother brand name toner to maintain print quality or to protect their printer warranty. So, for those who do check the manual, the question then comes to whether the TN330 is sufficient or should they go to a TN360 and are these completely interchangeable? 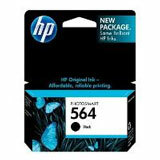 What’s more, can you get quality print output with cartridges made by other companies to fit these Brother printers? The first thing to acknowledge is that printer manufacturers follow an ISOIEC Standard for toner page yield at 5% coverage. We explain this in our post about page yield. This actually allows the common user to compare the number of pages they should get from different toner cartridges and from different manufacturers. As for many Brother printer models that use TN330 or TN360 toner cartridges, the starter cartridge yields about 1,000 pages. This assumes you are printing a relatively standard text-based document. A Brother TN330 cartridge is rated to give 1,500 pages at that same 5% coverage. On the other hand, a TN360 toner cartridge will produce 2,600 – almost twice as much. So, let’s say in the course of a year you print through two cases of paper at 10 reams each. That is 10,000 pages. If you were using TN330 cartridges, you would burn thorough 6.66 of them. Suppose instead you bought TN360 toner cartridges because they are completely interchangeable, but you get more toner in these ones. That would be about 3.865 cartridges. Sure, that is fewer cartridges, but does that translate to saving money? As of this writing, at office supply stores, an original Brother TN330 is about $50 and you would have used about $330 (6.66 X $50) in toner. Had you spent about $70 for an OEM Brother TN360, you would have expended about $270.55 (3.865 X $70) to do the same amount of printing. Is saving about $60 worth it to you? What is more, according to industry estimates, each cartridge is responsible for the consumption of 5-9 pounds of virgin materials and resources. So, by reducing the sheer number of cartridges needed for printing a given number of pages, you can shrink your impact on the limited resources of the earth. Therefore, it could save you money to use a TN360. 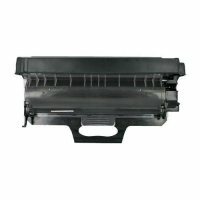 In fact, many aftermarket manufacturers, like LINKYO, provide a Brother TN360 compatible toner cartridge as a free upgrade to TN330 orders because it doesn’t make sense to only partially fill the cartridge. If you have never tried anything but an OEM Brother toner cartridge, you might be in for a pleasant surprise. I’ve noticed that the reviews on those LINKYO toners reflect some happy users. In the end, getting the best value and a quality printout together is where most of us want to go. Since the question of Brother TN330 vs TN360 toner cartridges is now put to rest, it makes total sense to get the large-volume TN360 cartridges and use the extra money on more fun things.